Fill your home with love with the amazing asian paints nilaya love over the bridge wall stickers. These wall stickers are made in the USA and are easy to peel and easy to apply. 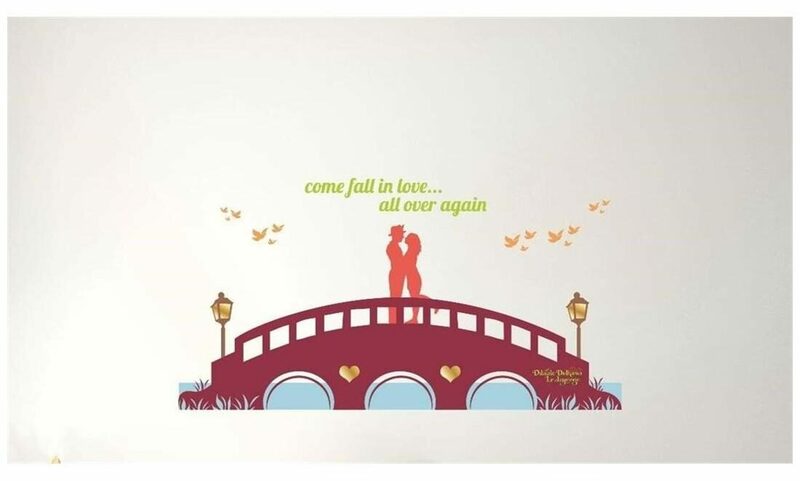 These wall stickers are a collaborative launch between asian paints; a company that has a 75-year long rich legacy of making your homes a beautiful place to stay and YRF licensing; the creators of the epic romance of DDLJ.